We have already presented to you the Pantone Colour of the Year Living Coral, but when the days get warmer, the colour and trend experts at Pantone, Dulux or WGSN will pull a whole range of new favourite colours out of the hat. The key colours for summer 2019 take up the beauty of nature in its many facets. But read for yourself which tones help you to say goodbye to winter. Which colour reminds us more of summer, sun and vacation? Not only in fashion, but also when it comes to colour on walls, cushions, rugs and furniture, there is currently no shade that inspires us more than terracotta. The earthy shade with warm red nuances has already celebrated its comeback last season and will continue to gain in importance in 2019. The colour palette is versatile and ranges from rich orange to sun-baked pink.The main thing is, it looks natural. Pantone's red and orange hues bear the melodious names Fiesta 17-1564 and Turmeric 15-1264. The vibrant colours are now being eagerly combined, but also work well with the texture & surface trend, which is now appearing on rugs and other textiles. Who would have thought? Neutral, natural tones continue to be very popular with interior experts. Warm and naturally soothing colours are applied to all the materials that can be found in any interior. This trend should best be visible in your whole interior: from wall colours and rugs to subtle details in decoration. Different nuances and textures as well as single accents through dark accessories create a certain dynamism. Everything green? This summer in any case. Green has always been an influential colour in interior design. While 2017 Greenery was key, this season features earthy nuances that look wonderfully authentic on natural textiles such as sisal, wool or cotton, but also with textures such as velvet, reminding us of the beauty of nature. Pantone affectionately calls moss green Terrarium Moss 18-0416, his lighter more yellowish alternative is called to Pepper Stem 17-0542. Grey, natural white, but also terracotta tones and ethnic patterns as well as wood furniture become cool companions on hot summer days. Yellow was already one of the trend colours in autumn/winter 2018/2019 and is now getting a golden update. At Pantone, the new shade bears the impressive name Mango Mojito 15-0960 and its colour reminds us of an intense, fruity cocktail. Nevertheless, this yellow with gold as undertone is now less polarizing and obtrusive. However, caution is advised when applying yellow hues: Similar to red, yellow shades can quickly become tiring, which is why you should rather leave them out of the bedroom or a relaxation room. A sofa or rug in this colour, on the other hand, becomes a keypiece in your interior. 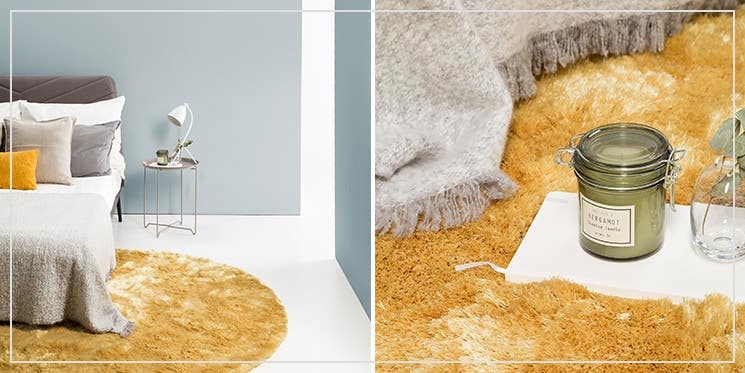 Yellow hues form an unbeatable duo with dynamic structures or materials: a viscose rug or a shaggy rug makes golden yellow shine. Together with the right pieces of furniture, the vintage look of the 1970s is guaranteed! 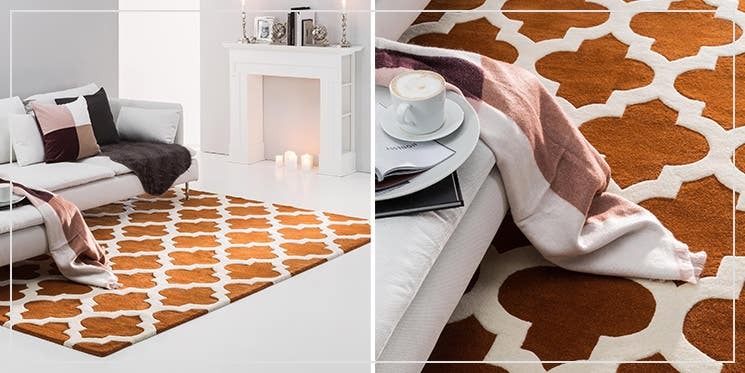 At Dulux there is also agreement on one thing: Spiced Honey was appointed trend colour of the year 2019. And since we like this versatile, warm amber clay so much, it should not be missed in this article. If Pantones Living Coral is too flashy for you, this diverse nuance may be your absolute favourite. You find it difficult to choose? Well, then take both colours! Admittedly, Spiced Honey has one small advantage: It is incredibly varied and can be combined with all the trend colours for Spring/Summer 2019. So which colour is your favourite? Let spring arrive and give your home a natural ambience.